Photography by Jessica Claire. Don't forget your four-legged family members! 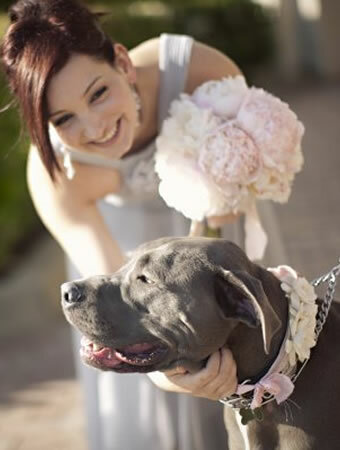 A beautiful collar of matching flowers makes this pooch aisle ready.